Scores of Syrian opposition fighters and their families began leaving the last rebel-held neighborhood in the central city of Homs on Saturday as part of a Russian-backed evacuation deal signed earlier this week. By sunset, 344 fighters and their families had left the city — once a center of protest during the 2011 uprising — completing the evacuation for the day. They were bound for a town on the Turkish border after the latest in a series of local agreements in which insurgents have relocated to the rebel-held north after months or years under siege in the country's major cities. 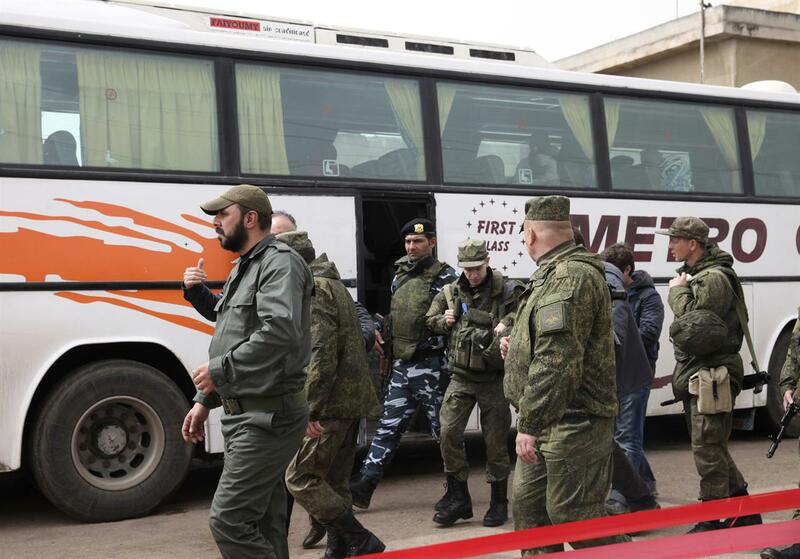 Green government buses ferried the fighters, many carrying assault rifles, and their families from the northern al-Waer neighborhood to Homs' western entrance, where they disembarked and had some of their bags searched under the supervision of Syrian and Russian military police. Three fighters arrived in wheelchairs. The men, women and children, most carrying their belongings in suitcases and plastic bags, boarded white busses taking them to the northern rebel-held town of Jarablous on the Turkish border. 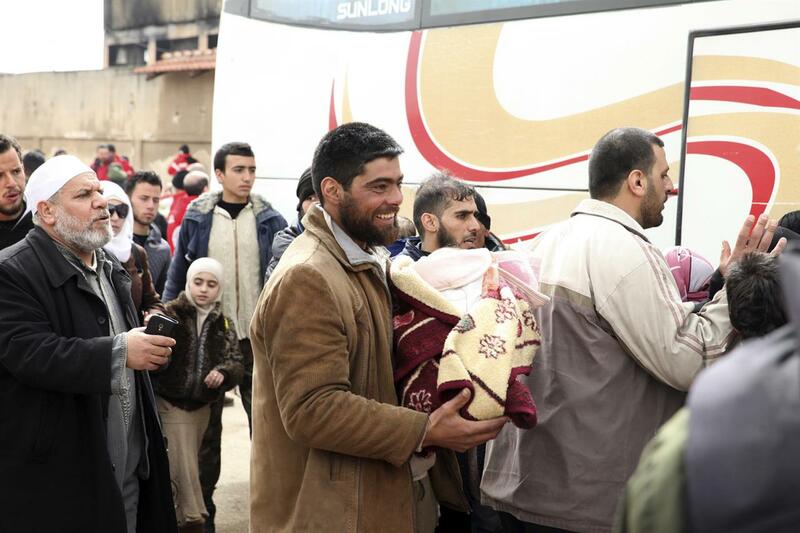 The evacuees were assisted by Syrian Arab Red Crescent members as they loaded their belongings onto the busses. The al-Waer neighborhood is home to about 75,000 people and has been under a government siege since 2013, triggering shortages of medicine, and occasionally of food. The evacuation is the third phase of an agreement reached last year that saw hundreds of fighters and their families leave the area. 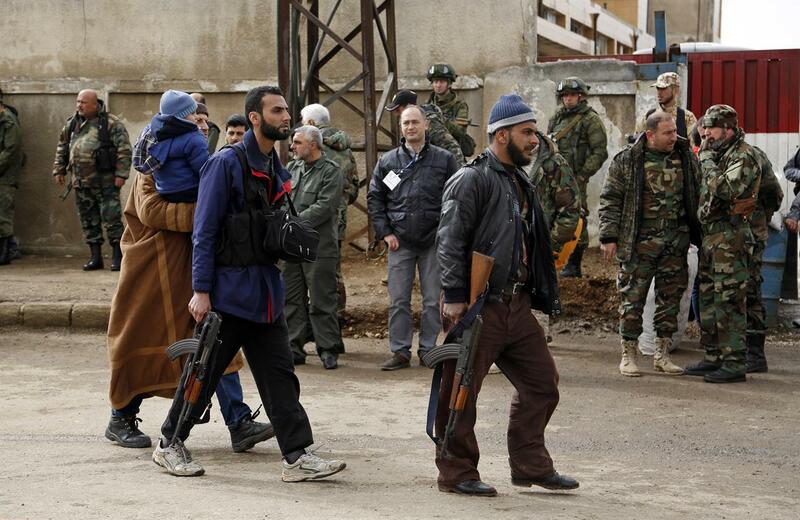 Homs Governor Talal Barrazi said around 1,500 fighters are expected to leave al-Waer, with only their personal rifles, over the next six to eight weeks. Once the first batch has left, food and basic aid will enter the neighborhood, Barrazi said. He had said earlier this week that fighters who decide to stay in al-Waer can benefit from a government amnesty issued earlier. An official at the governor's office said later Saturday that 344 fighters and about 1,050 civilians were headed to Jarablous aboard 35 buses. The official spoke on condition of anonymity because he was not authorized to speak to the media. Some opposition activists have criticized the agreement, saying it aims to displace 12,000 al-Waer residents, including 2,500 fighters. 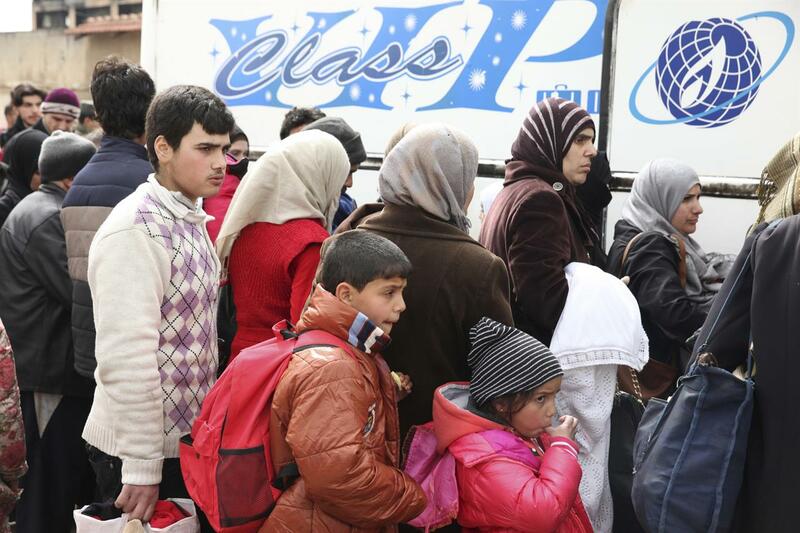 The opposition's Britain-based Syrian Observatory for Human Rights called the evacuees "internally displaced" people. 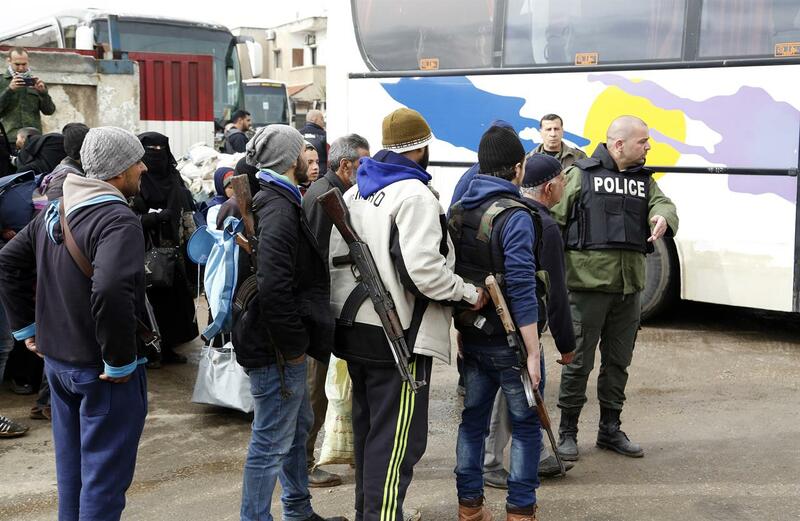 Al-Barrazi denied statements that said al-Waer residents are being forced to leave their homes, adding that thousands will stay on and many departing because of violence will return in the future. Maher Kayyal, the head of the Syrian Arab Red Crescent's operations in Homs, said they were informed of three medical emergency cases, adding that the number might rise to six. Ten ambulances were available at the scene. "There are no difficulties so far as all parties respect the agreement," he said earlier in the day. Once the evacuation is completed, the government will be in full control of Homs — Syria's third largest — for the first time in years. In the early days of the uprising, the city saw huge, peaceful demonstrations against the Assad family's four-decade rule. Those and other protests were met with a fierce government crackdown that led to the rise of an armed insurgency. At one point, the rebels controlled much of the city, but government forces gradually regained control. The civil war, which entered its seventh year earlier this month, has killed more than 400,000 people and displaced more than half the country's population. Gunmen carrying their weapons and some family members leave the al-Waer neighborhood bound for a town on the Turkish border, in Homs, Syria, Saturday, March 18, 2017. Scores of Syrian opposition fighters and their families have begun leaving al-Waer, the last rebel-held neighborhood in the central city of Homs as part of a Russian-backed evacuation deal signed earlier this week. The city was once known as the epicenter of the 2011 uprising against President Bashar Assad. Gunmen carrying their weapons leave the al-Waer neighborhood bound for a town on the Turkish border, in Homs, Syria, Saturday, March 18, 2017. Scores of Syrian opposition fighters and their families have begun leaving al-Waer, the last rebel-held neighborhood in the central city of Homs as part of a Russian-backed evacuation deal signed earlier this week. The city was once known as the epicenter of the 2011 uprising against President Bashar Assad. Women and children board buses to leave the al-Waer neighborhood bound for a town on the Turkish border, in Homs, Syria, Saturday, March 18, 2017. 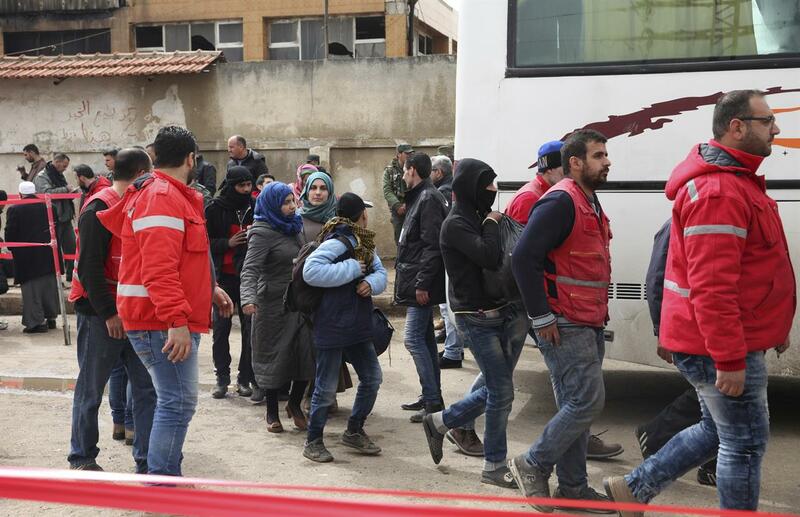 Scores of Syrian opposition fighters and their families have begun leaving al-Waer, the last rebel-held neighborhood in the central city of Homs as part of a Russian-backed evacuation deal signed earlier this week. The city was once known as the epicenter of the 2011 uprising against President Bashar Assad. 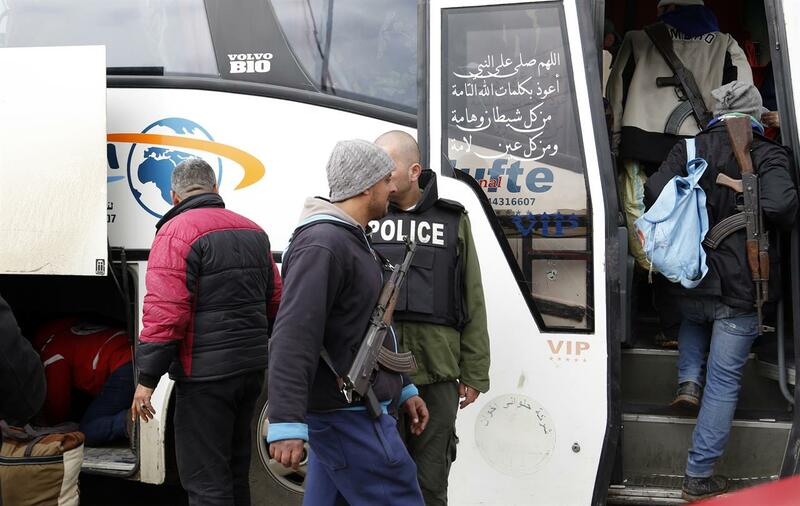 Gunmen carrying their weapons and family members leave the al-Waer neighborhood bound for a town on the Turkish border, in Homs, Syria, Saturday, March 18, 2017. 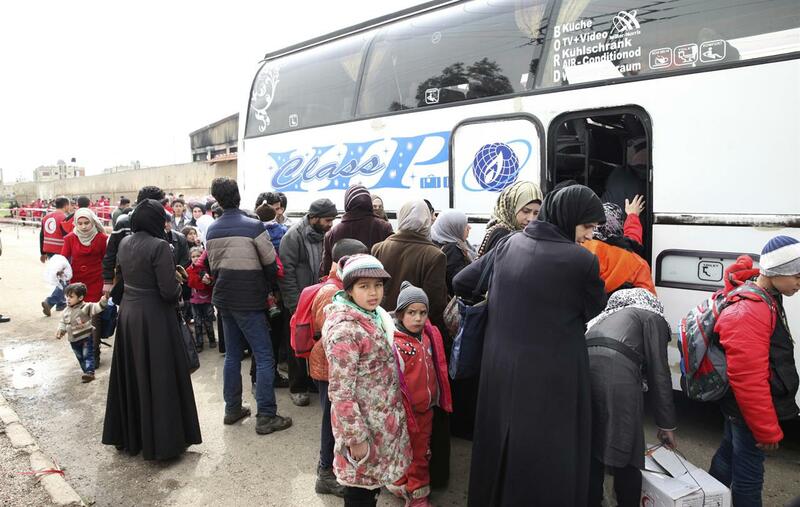 Scores of Syrian opposition fighters and their families have begun leaving al-Waer, the last rebel-held neighborhood in the central city of Homs, as part of a Russian-backed evacuation deal signed earlier this week. The city was once known as the epicenter of the 2011 uprising against President Bashar Assad. Gunmen and family members leave the al-Waer neighborhood bound for a town on the Turkish border, in Homs, Syria, Saturday, March 18, 2017. Scores of Syrian opposition fighters and their families have begun leaving al-Waer, the last rebel-held neighborhood in the central city of Homs as part of a Russian-backed evacuation deal signed earlier this week. 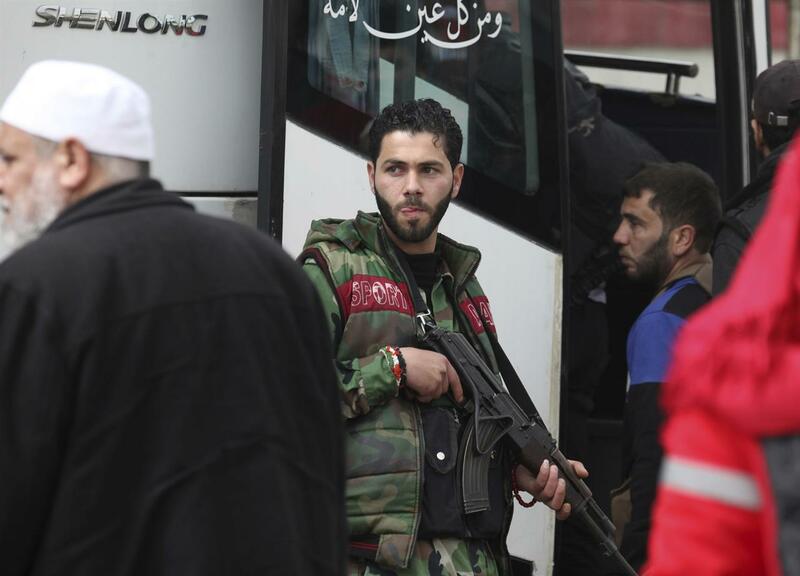 The city was once known as the epicenter of the 2011 uprising against President Bashar Assad.